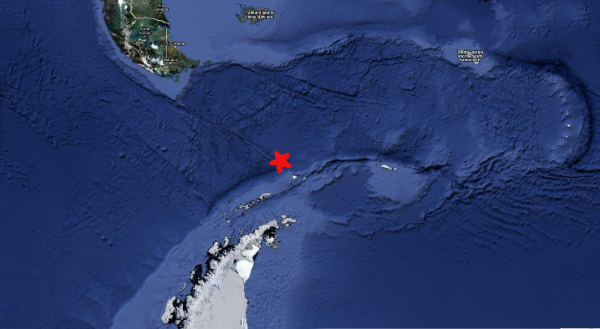 Very strong earthquake magnitude 6.6 struck near Elephant Island, South Shetland Islands in Antarctic region. There are no people living within a radius of several hundred km. According to USGS magnitude 6.6 occur 539 km (334 miles) West of Coronation Island, South Orkney Islands, 625 km (388 miles) NorthEast of Palmer Station, Antarctica and 1019 km (633 miles) South of Falkland Islands (60.765°S, 55.858°W) at depth of 10 km (6.2 miles). 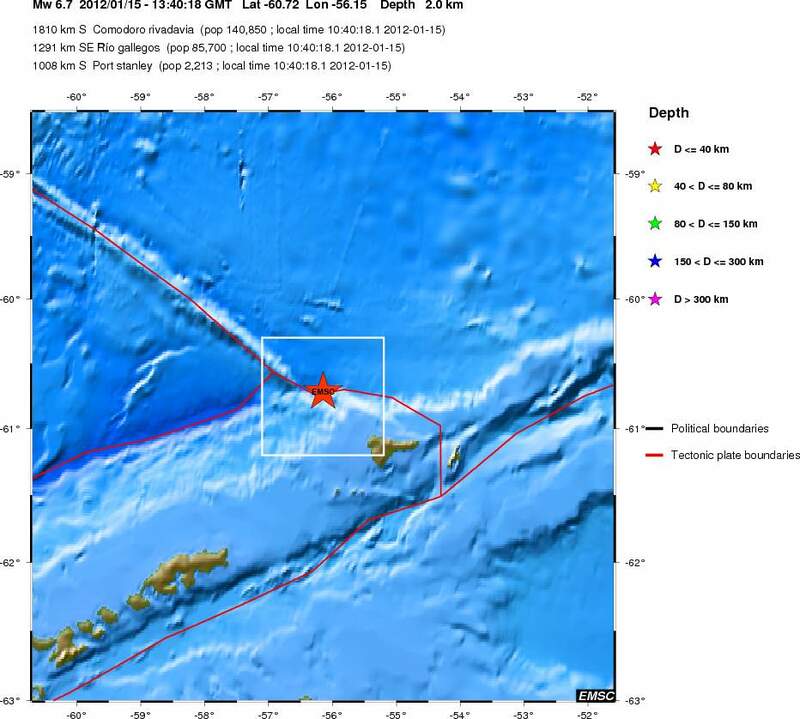 EMSC recorded magnitude 6.7 (USGS initially recorded the same magnitude but was later downgraded) with more shallow depth of 2 km (1.2 miles). No tsunami risk exist for populated islands. Only 40 minutes later a strong aftershock struck at almost same location (60.797°S, 55.999°W) with magnitude 6.2 by USGS readings or 5.9 by EMSC. The epicenter was at 14.8 km (9.2 miles). More strong aftershock are expected following hours and days.